In the last few years, Brands like Xiaomi are ruling the budget smartphone segment, taking over Samsung’s number one market share position. Despite, Samsung has tried to respond in several different ways over the years. Unfortunately, there are very few of its recent low-cost offerings have been competitive enough. Finally, The Brand makes a major comeback in this segment with its Galaxy M-series. Here’s the Samsung Galaxy M20 review, which gives you many reasons to buy the device. 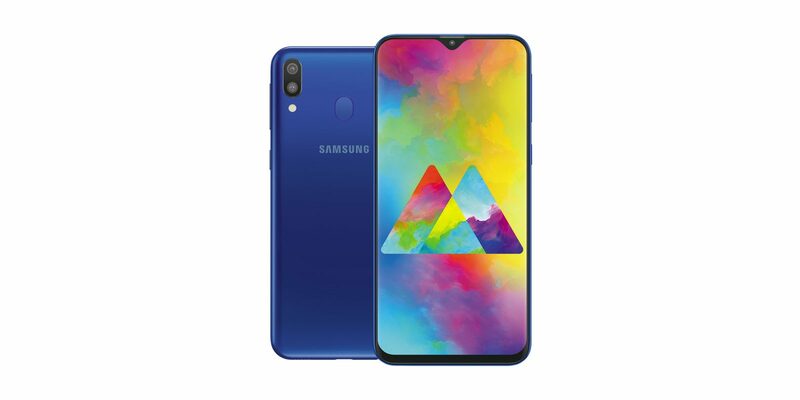 Samsung Galaxy M20 is the affordable phone with great battery life, display, and average performance. However, Camera performance is a mixed bag. Serious gaming is not recommended. Design And Display: Whenever we are looking for a smartphone, the first thing we consider is the way how a device looks. There is nothing wrong in it though. No one would like to carry a bulky and ugly looking device. Worry not, I am not pointing Samsung M20. It’s the first time, the Company features a notch display, which gives it a premium look. Coming on to the rear panel, the smartphone comes wrapped with almost plastic. Although it gives a clean look, plastic feels quite cheap in this segment. Looking at Honor 10 Lite, I feel Samsung should have gone with better quality. Performance And Software: The device gets latest Exynos 7904 chipset by the brand. It is an octa-core chipset based on a 14nm process and is equipped with two Cortex-A73 cores that run at 1.8GHz, and six Cortex-A53 cores that run at 1.6GHz. You should not expect intense multitasking capabilities. You can go with 4GB variant if you spend a lot of time on your phone. This doesn’t mean that you can play highly-intensive games. For now, It runs Android 8.1 Oreo with Experience UI 9.5 on top, which is disappointing. Anyways, Samsung has confirmed to roll out the Pie update for M10 and M20 in August. Battery Life: It is one of the best feature shared in the Samsung Galaxy M20 review. The device packs an impressive 5000mAh battery. Alongside, It includes USB Type-C port and 15W fast charger. With this, the phone gets full charged up faster as compared to the rest of the competition. Camera: The camera feature may disappoint the users who are photo freaks because it does not offer a great set of cameras. However, it has an ultra wide-angle camera, which makes it unique amongst its competitor. The camera will turn out to be decent in daylight but do not expect much in low-lights. Among the current competitors in this segment, Samsung’s immense brand power will help it regain a lot of the customers it has lost. Galaxy M20, A device with a standard design has a decent display. Overall, It carries a mixed bag of features, as mentioned above.